I can’t believe how fast the summer flew by and I never got a chance….ok, I honestly kept forgetting, to post some monthly favorites. I’ve been noticing some fellow bloggers posting some of their favorite things each month and thought, what a fun idea! I love seeing what other people are using or eating – sometimes you learn about new things. Over the summer I stumbled upon some awesome products that have become fast favorites. I’ll also share some of our old favorites from beauty products to food. If you’ve been following my blog for a while, you probably know that I’m a huge fan of using baking soda and apple cider vinegar in my hair as opposed to using regular shampoo and conditioner – I’ve been doing it for years and have noticed it has really improved the health of my hair. To learn more about this method, you can read an old blog post of mine HERE. This summer I thought I would venture out and try an actual shampoo and conditioner to change it up a bit. 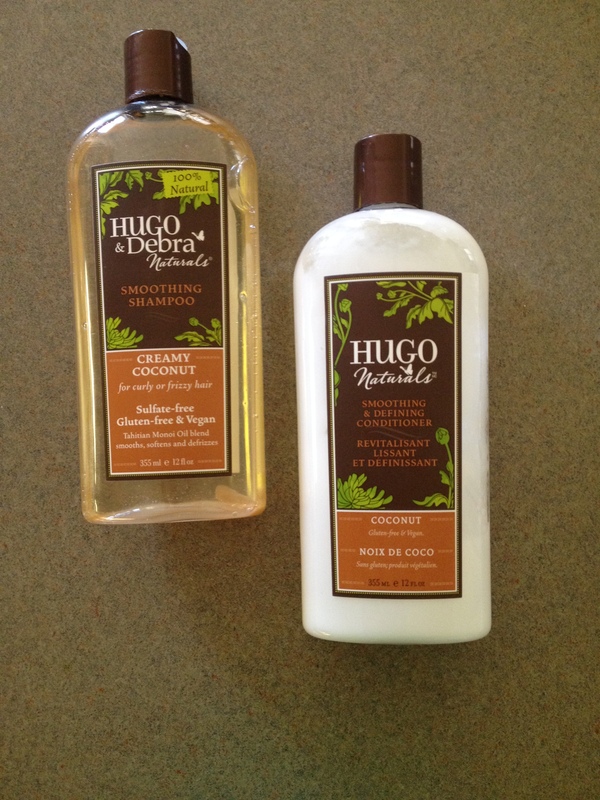 After browsing through EWG’s Cosmetics Database, I decided to try Hugo Naturals Smoothing & Defining Coconut shampoo and conditioner. I chose it because not only did it get an AWESOME rating on EWG (a ZERO, in fact! ), but they also believe in giving back – they support Celiac Sprue Association, Farm Sanctuary, HealthRIGHT360, Leaping Bunny, LUNAFEST, Open the Cages, The Breast Cancer Survivors’ Network, The Orang Utan Republik Foundation, Vitamin Angels, AND Whole Planet Foundation. They’re seriously an awesome company – please check out their website HERE. I absolutely LOVE this shampoo and conditioner. It smells great, but not too strong and leaves your hair feeling soft and clean – not greasy or dry. I loved their shampoo and conditioner so much that I had to try one of their bar soaps and oh, boy! I am in LOVE. 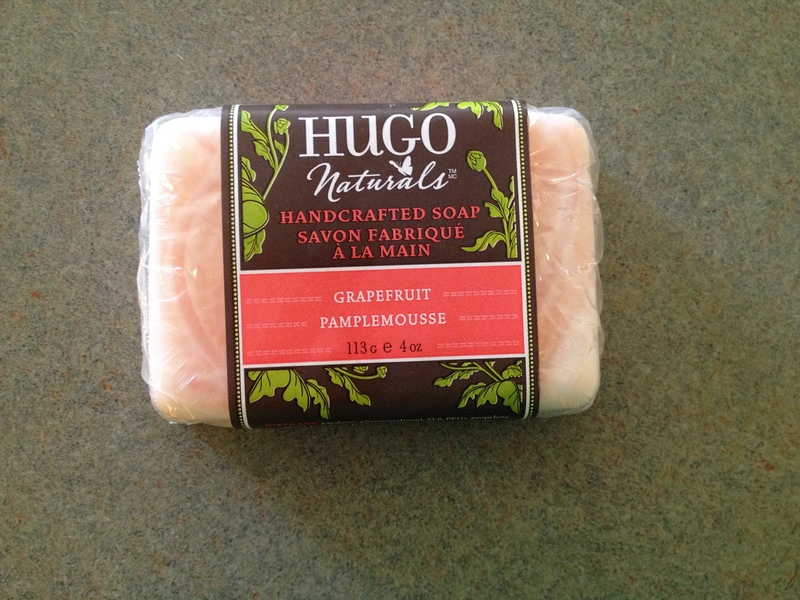 The grapefruit scent is invigorating and feels so soft on the skin. Since having a kid, I’ve noticed that quick and convenient sometimes outweighs homemade. We do our best to make our own snacks, desserts, main dishes, and body products, but when you stumble upon a great ingredient list on a prepackaged item, I like to give it a shot. On our trip at the coast, we found a great breakfast item that I think would be great for traveling or camping. 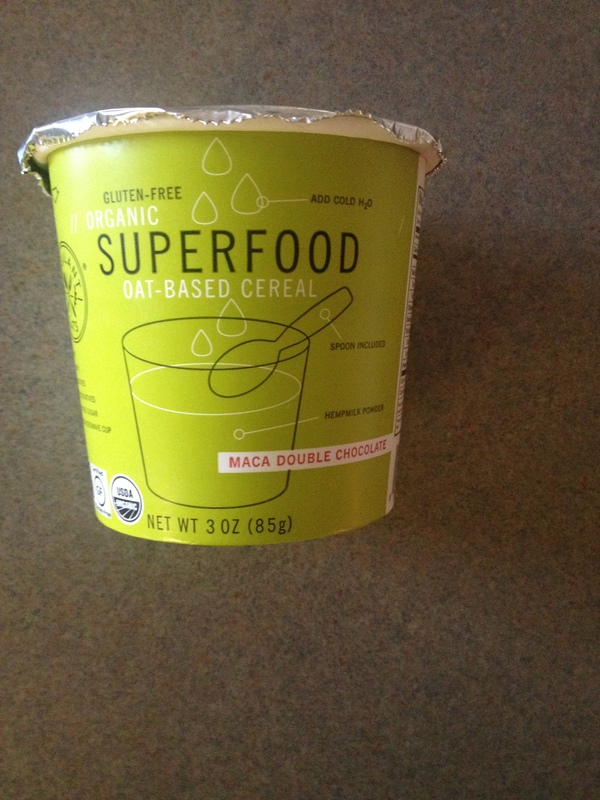 Gluten-free Organic Superfood Oat-Based Cereal. It’s packed with tons of superfoods, such as cacao, hemp and maca – and wow, it is delicious and fills you up! You can eat it hot or cold and use water or milk. I ate it cold with unsweetened almond milk. 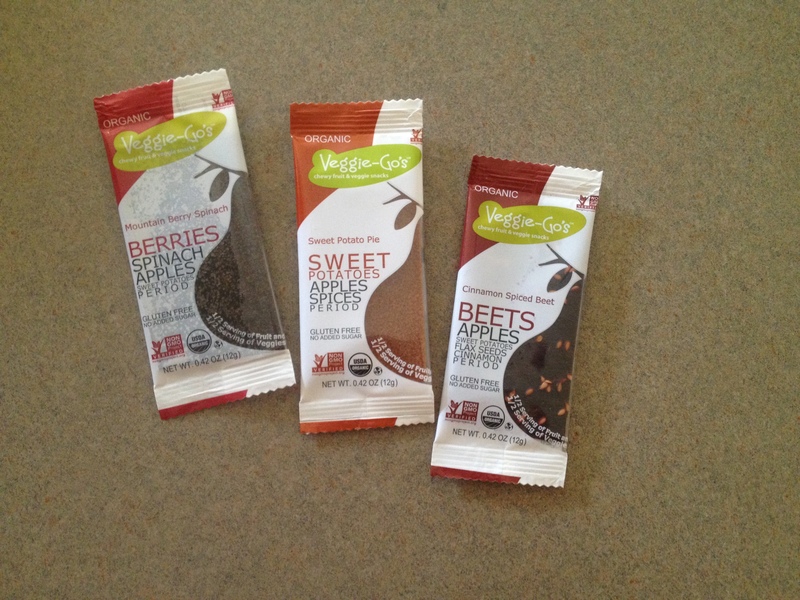 It comes in a few flavors – I had the Maca Double Chocolate flavor. Over the summer, one of Willow’s favorite on-the-go snacks were these Organic Veggie-Go’s. Her favorite flavor is the Mountain Berry Spinach – I personally love all three. We chose these because there is NO added sugar or preservatives, just fruits, veggies and spices. They’re great to take on hikes! 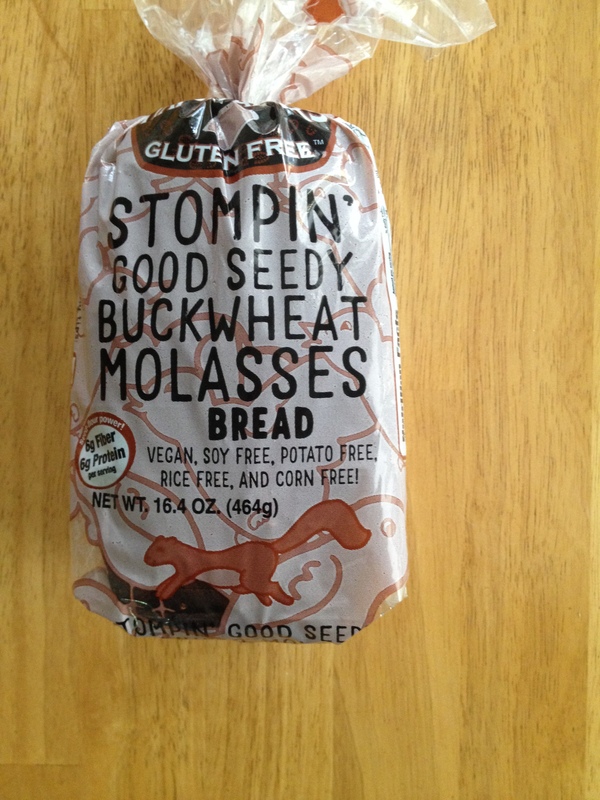 Another new find that has become a favorite of mine is this Stompin’ Good Seedy Buckwheat Molasses Bread by Happy Campers. MOLASSES bread?!?!? Being a molasses addict, I had to try it! I wasn’t too thrilled with the price, as it is close to $6 a loaf, but it’s a nice treat every now and then. It’s a hearty bread, reminiscent of a seedy rye. I enjoy it with some peanut butter or sunflower seed butter – Definitely needs to be toasted. I found this in the refrigerated section at Natural Grocers. Happy Campers is made in Tigard, OR in a gluten-free facility. Now here are some old favorites…. 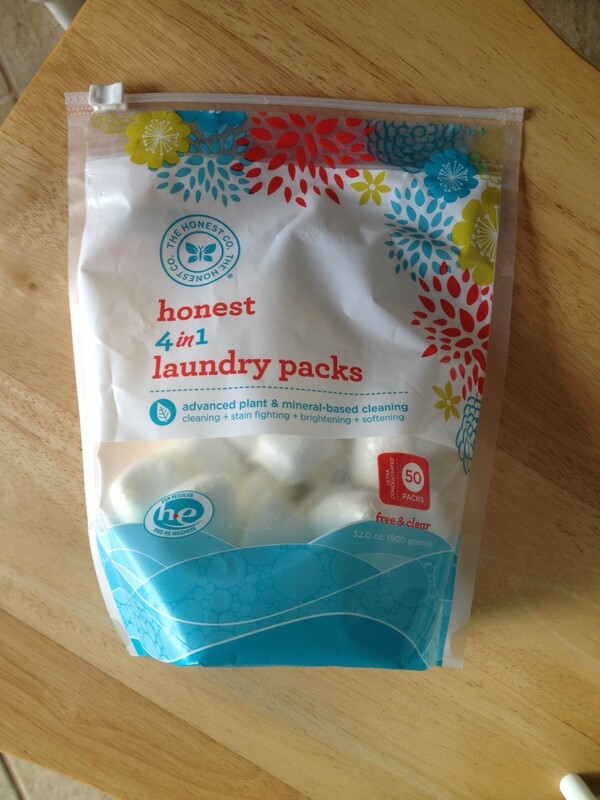 We’ve been using The Honest Co. 4 in 1 laundry packs for a couple of years now and LOVE them. No messy pouring or measuring, just throw a pod in the washing machine and you’re set. We’ve even taken them traveling, as there’s no bulky containers. Best of all, they’re not loaded with toxic ingredients or fragrances. The Honest Co. is another fantastic company to support. We’ve been getting their essentials bundle each month for a couple of years – we love their dish soap, hand soap, bar soap, lotion and MUCH more. I get a lot of people asking what kind of bread we use and the answer is Silver Hills! Back in 2010, I worked side by side with Silver Hills at VegFest in Portland, OR and got to try their gluten-free options – I fell in love. In the past, the breads I had tried were dry, dense, or just down right disgusting. 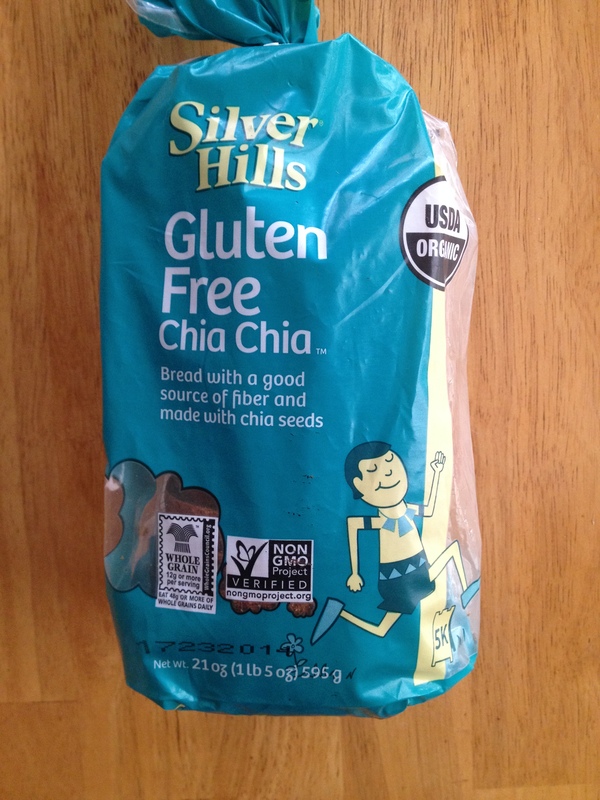 Silver Hills Gluten Free Chia Chia bread has become a staple in our house. Willow enjoys it with peanut butter or hummus. If you buy it, I highly recommend storing it in the freezer as it molds fast because there are no preservatives. So, there you have it! Let me know if you enjoyed this post and I’ll be sure to share more of our favorites in the future. What are some of your current favorites?! Next Two Recipes you MUST Try! Me too! I’m a big fan of coconut 🙂 And I’m right there with you as far as the baking soda/ACV goes. Thank you so much for taking the time to read! Great products….they all sound amazing! !